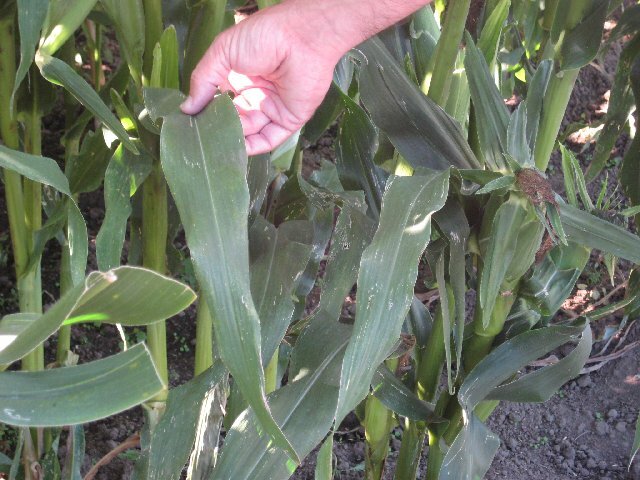 The Grass Compression Gland can be used to seal corn or “maiz” leaves also. 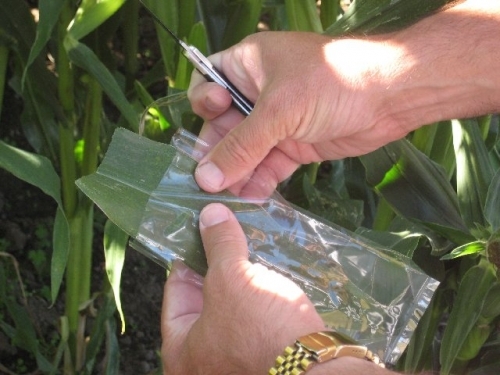 When testing young corn leaves they might pass through without any effort or modification of the leaf. 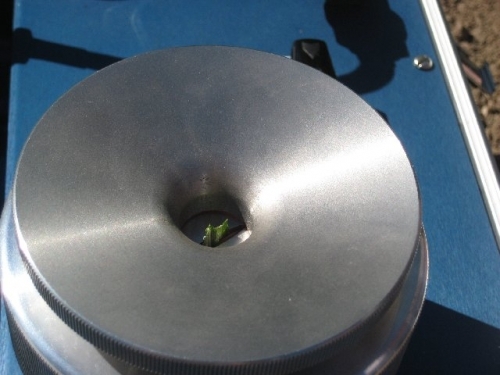 The leaf cannot exceed 3/4” wide. 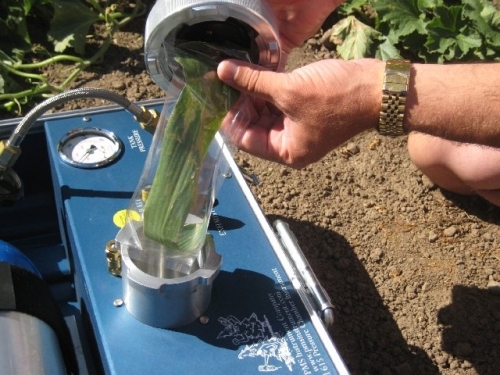 As the leaf matures and becomes too wide to sample the whole leaf it is best to switch to this method as described below. Select a fully shaded leaf that is in the best condition (least amount of bug holes or any kind of disease). 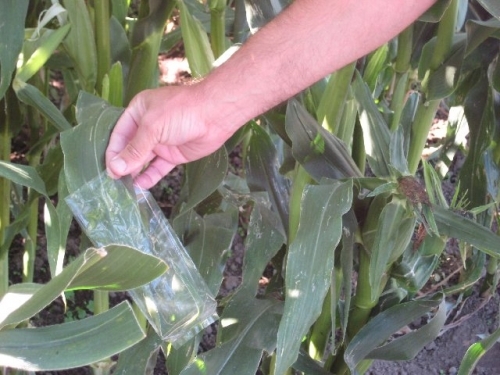 Slide a plastic bag over the leaf as far as you can get it down in the bag. It can be slightly rolled at the bottom of the bag. 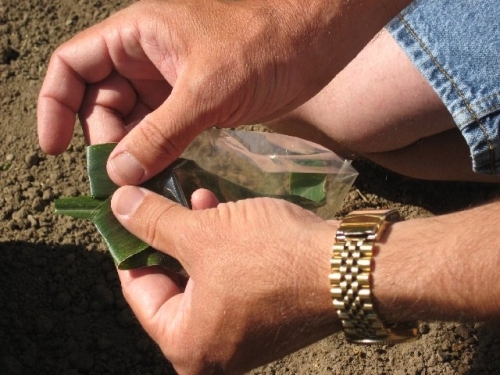 Use a knife or scissors to make a straight and clean cut across the leaf. The sample should look like this now. 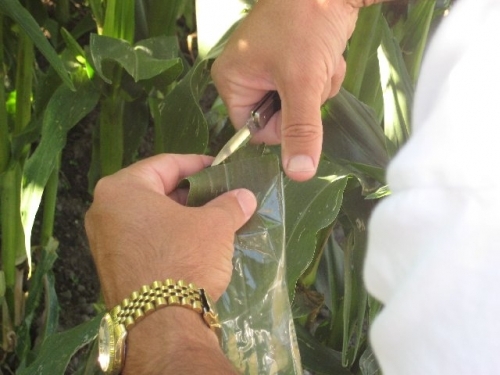 Pull down each side of the corn leaf so that the center rib is isolated and does not exceed the maximum width of the seal. The sample should look something like this. 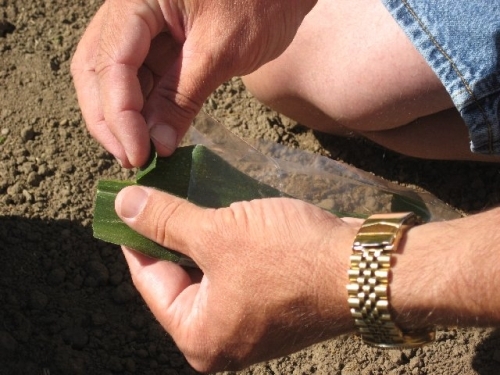 Push the end of the leaf through the grass seal so that it just passes through the lid. 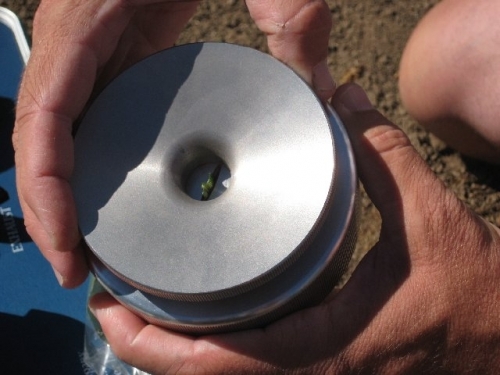 Twist the Compression Ring to seal the sample into the lid. Put the leaf and bag all together into the chamber. 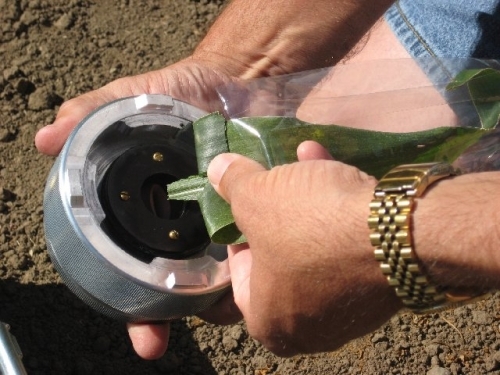 Be sure the leaf is all the way in the bag and that the bag does not get caught on the chamber O-Ring. If the bag or leaf is caught on the O-ring it will leak during the pressurization of the chamber. 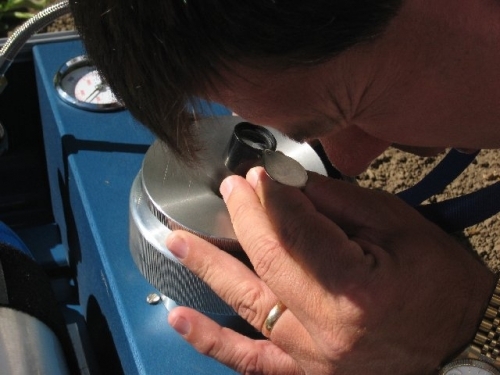 Begin to pressurize the sample at a rate of about 1 bar every 2 seconds. Watch for the end-point. You will see water come out across the whole width of the cut sample.